Global Vision has always been a pioneer. The first organisation in Australia with Digital Video production, a pioneer of eLearning and the first to bring Learning Management Systems to Australia, we remain at the forefront of educational technology in Australia and New Zealand. Our clients range from local, state and federal government to large corporate clients in all states who turn to us when only the highest quality and client understanding will suffice. With a diverse range of exciting projects, a people focused culture, and a wonderful new workspace in the heart of Melbourne, this is a rare opportunity to join one of Australia's most talented developer teams and interface with exciting blue-chip clients. We love working at Global Vision Media and we are sure you will too. In addition to great work and clients, you will work alongside a talented team in a collaborative, flexible and up-beat work environment. Our people are the foundation of our ongoing success, and we take great pride in recognising their fantastic skills and efforts. You will benefit from Flexible hours and the opportunity to work from home when required; as well as generous staff professional development arrangements. With a big year ahead, this is a sensational time to join a world-class business with a track record of innovation and growth. 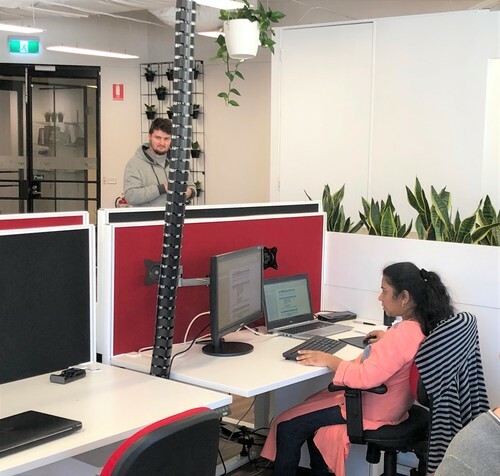 Based in our beautifully appointed offices in the heart of Melbourne’s CBD (just two minutes from the station), we are easily accessible from any part of Melbourne and surrounds.